Scott: I’m Scott Edwards, and today I have Charles Makarewicz with me to discuss social media and what does and doesn’t work for local dentists. 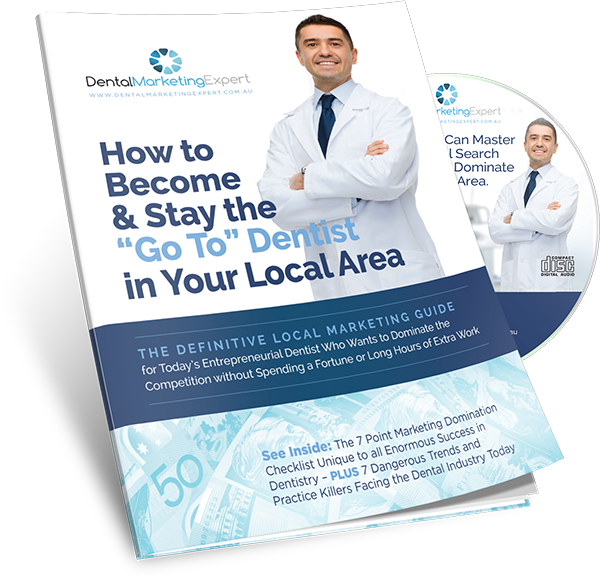 Charles is a founder of Dental Marketing Expert, a company which specializes in local marketing for Australian dentists and is responsible for many dental practices across Australia dominating their local competition and attracting up to 15 new patients each and every week. Scott: Charles, there’s numerous social media platforms out there nowadays. But which platforms are important and actually deliver measurable results as part of an overall local marketing strategy? Charles: At our agency, we focus on half a dozen platforms. Facebook obviously is number one, and Instagram is just behind it. Instagram is owned by Facebook, so there’s a high integration between those two platforms. And then we look at LinkedIn, so setting up a LinkedIn company page, and then things for image marketing, Pinterest, and Instagram. Both of them are good when you do image marketing, and then Twitter as well. Now Twitter has changed to be more like a multimedia platform where you can actually use videos and images as well. And additionally YouTube and Google owned platforms. Google Plus is not so important as it used to be, but it’s still valid. Google My Business has a section for posts that’s quite new but not as much as social platform, but we include that since you can post your content weekly. It expires every week, so that’s what we recommend a weekly content post on the Google My Business. Scott: But Charles, what sort of content is recommended to be delivered over social media? Charles: How we looked at it, we’d like to drive the traffic from social media back to our website. Social media is where attention is, where it’s a lot of traffic, and a lot of our patients or prospective patients are hanging around those platforms. What we want to do is we want to attract them by entertaining them, or attract them with good quality content back to our website. Part of our strategies is creating high quality relevant content on our blog and promoting that on social media. Having a snippet of that on Facebook is really good and you can put that on LinkedIn as well, and on your Google My Business and Twitter. Those are the platforms where we will promote the content. It’s important that it’s not boring. It’s not like that’s the only thing you do. That’s a part of the mix. It’s important part, so if we’re producing let’s say, two blog posts per month, that will be two posts on Facebook, but we normally recommend to have one or two posts on Facebook per week, which translates to having a mix so you might have two or three different type of posts on Facebook on the top of your content post. Charles: Charles, what will be the personal aspect of social media? Is it important to engage your office staff, your receptionist in social media, and is that part of the mix, Charles? Scott: Yes definitely, Scott. We highly recommend that dental practice team and pretty much everyone is involved on Facebook and receptionist is probably the first person to interact and practice manager, and we have some dentists which love to do that as well. Things like images will be very powerful, so having a good phone camera, which pretty much everyone’s got nowadays and taking images of anything happening inside of the dental practice. Questions are fantastic for Facebook because people like answering them. It is more engaging. Having great images taken is the first step, and also perhaps you have some events. You might have evening events so that will be great to have that recorded. First you have a lot of images taken, additionally perhaps short videos. You can load videos on Facebook and they can be actually added to the website and your YouTube channel, and pretty much to a lot of other social media platforms, so short videos at your dental practice are really good for social media and are very engaging. Charles: What about local community content outside the dental practice and dental related topics. Is there a place in the mix for this? Scott: Yes, definitely, Scott. We had the podcast previously covering local community, so I’m not gonna really talk about a lot. Just quickly recap what areas you could be involved in. That’s obviously local schools, sporting events, churches, charities, the seasonal celebrations and the local celebrations. All of those are great activities. What it does is it gets you involved in a local community. Take the photos, take the videos, and you post that on Facebook and other social channels and you’ll find that this is probably one of the most interactive ways to post social content and it’s very engaging because anyone living in your local community will be interested in something which is right around the corner from them. The answer was yes. Yes, definitely local community is the mix we want to see, and that doesn’t always have to be related to dental and in most cases it’s not related to dental. It’s just related to your local community. Charles: How is Facebook marketing different to Google local marketing or even Google AdWords? Scott: Thanks for bringing that up, Scott. It’s actually, it’s so different. If you look at Google and Google search, someone’s pretty much wants to have your treatment done perhaps today. Someone has dental emergency, they’re not going to go on Facebook and search for a dentist. They most likely will go to Google and they click on the Google Maps. In 80% of cases that’s what’s going to happen. They’re going to click on Google Maps and they’re just going to call or book directly. That is different traffic. That’s a 3% of your target market is ready to buy. They ready to call and that’s what the Google AdWords and that’s what Google Local basically drives that kind of traffic. With Facebook, it’s your 97% which are not ready to buy. And this this is where local community engagement is critical. It’s important because it improves your exposure. You are positioning yourself as a go to dentist, as actually go to person in your local community, and then eventually they like you and they come and see you. Well, that’s not going to happen. That’s very rare. Social media is about engaging local community. It’s about engaging your current patients, so make sure that they know your Facebook page, they know the links to your Instagram, to your Facebook page, those just two channels which are the most important to concentrate on your energy. If we are looking at 6 to 10 platforms, there’s always be the first two. It will be Facebook and Instagram. And if you’re good with the videos, YouTube as well as all other channels, so you can obviously promote the short videos on platforms outside of Facebook and YouTube. All your videos should be uploaded to YouTube anyway, and you should be using the code from YouTube on your website. All the social media content you’re generating, it should be on your website. It should be in your gallery. All the images you create should be placed in an additional gallery folder. Local community photos can have the link to that gallery page folder on your website when posting on the Facebook. To someone who looked at as a certain event, they might want to look a little bit more and then you can drive them back to your website, but no selling please. Later on, perhaps, if you do retargeting. If you have that retargeting pixel installed, and this is the website visitors, yes, you can create special offer for them but not directly, not to cold traffic. That’s definitely not recommended. It’s just, they don’t know you, and they don’t go on Facebook to buy something or to book your services. That’s not the primary reason. The strategy is really different from advertising Google AdWords or running Google Local and setting up the Google Local campaigns. 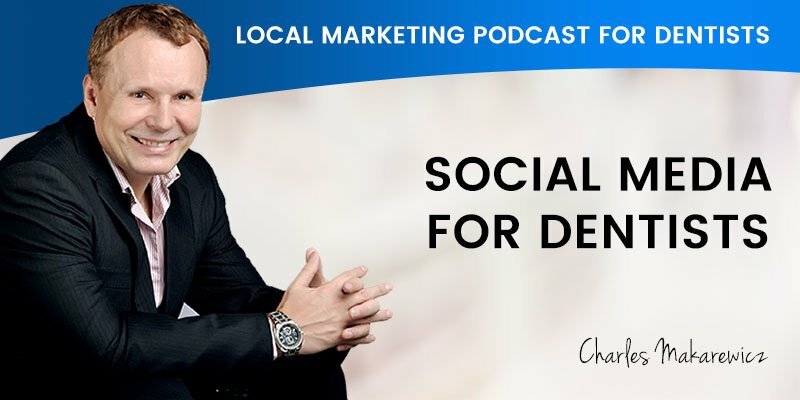 Charles: Charles, yet again, you’ve provided some great information and given to our listeners a lot of ideas about how they can maximize their social media strategy by engaging with their local community in a non-salesy way. Well, that wraps up today’s podcast folks. Stay tuned for your next episode when we discuss your digital assets and the under the sheets aspects of email hosting, and general online security. Until next time, bye for now.